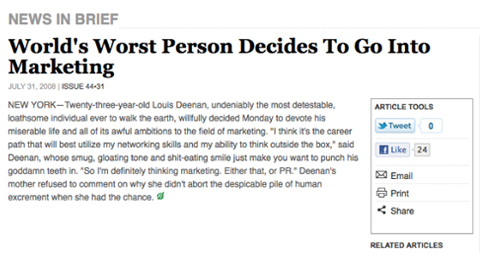 It’s not cool to call yourself a marketeer, and stating “I’m in advertising” is a fatal stab to whatever street cred you had. Ironically, marketing doesn’t help you increase your popularity. Ever since the 80s, the marketing and communication department has seen its reputation fall from ‘powerful’ to ‘shrewd’ and ‘manipulative’. And maybe that’s not too-uncalled for. For every successful campaign, there are 999 others who don’t really give off a lot of karma to either the brand or the agency responsible for pitching it. But why? Too many times, ads have promised things that couldn’t be done. And these days, such empty promises are way harder to get away with than before. You can’t really be too sure how and why some campaigns fail or succeed, and many misconceptions live on. The biggest danger doesn’t lurk in painting a picture that is too pretty, but in making a good idea or nice visual more important than the actual purpose of a campaign: raising awareness of the brand. What gave ad agencies such a bad rap, is them putting their own gains before those of the brand. What does an agency that doesn’t think outside the box want? To stand out. Awards on the mantelpiece. How do you do that? With flashy campaigns. Campaigns that raise the agency’s profile. 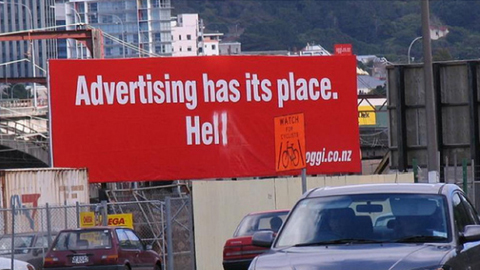 It’s a whole other matter whether those campaigns suit the brand itself. It’s also a public secret that lots of agencies continue to shop the same ideas around in case one brand shoots the proposal down. Another misconception is that campaigns kept in line by strategists are less creative than campaigns that focus on a good idea. (This reason is often used when trying to make the recycling of strong visual ideas sound okay.) 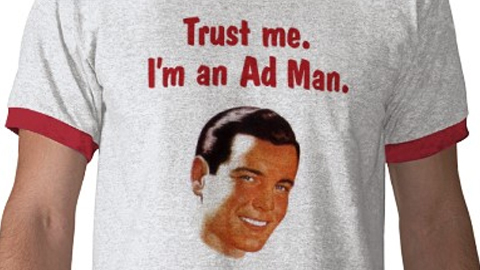 There are enough campaigns out there that are extremely creative as well as masterfully strategized. Moreover, these aren’t campaigns where old ideas were given to a random client. These are campaigns where the idea and creative execution are impossible to dissociate from a certain brand. Campaigns like that are the ones who create brand fans, even if you’re critical of advertising and marketing. Well-built brands actually offer emotional value to their customers (ROIE: Return on Emotional Investment). Look at 2010’s hugely successful US campaign for Old Spice. The brand’s identity (“Men Smell Like Men”) was used as a foundation to stir up a true hype amongst their target audience. 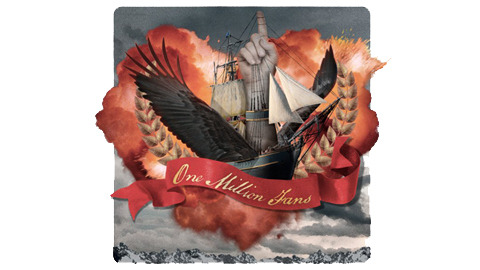 One million Old Spice fans on Facebook was celebrated with visual that fans loved so much, some of them made it into a tattoo. A lot has been written about Old Spice’s successes, but actually it boils down to a couple of basics: good creative work and consistent communication, based on an understandable brand essence that can always be accounted for (‘makes your man smell like a man, not a woman’). All creative implementations, use of social media, zany visuals and hilarious copywriting never strayed from the Old Spice brand essence. Strategy clearly didn’t get in creativity’s way here. Can you say the same about your last campaign?